China's cooling economy may have cooled down the cups of coffee. Starbucks, the largest coffee chain in the world, said its same-store sales rose 1 percent in the quarter ended December 31, as higher prices offset declines in coffee sales. The increase in marginal revenue is comparable to an 8% jump in the previous quarter and a 6% increase in the same period last year. The number of transactions decreased by 2%, according to the results of the company. The American coffee chain added nearly 600 stores in China last year, for a total of 3,684. 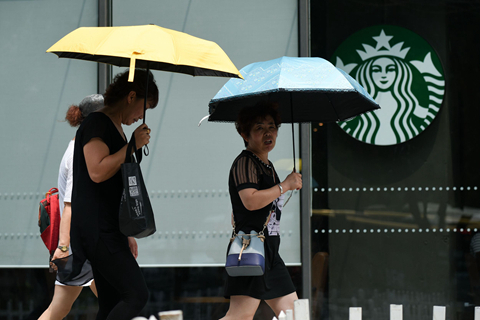 Starbucks faces growing competition in China from domestic rivals such as Luckin Coffee. But Starbucks remained optimistic about the prospects for China, which is now the largest coffee market in the world. The company has announced plans to nearly double the number of stores in the country to reach 6,000 over the next four years. Globally, Starbucks revenues reached $ 6.63 billion, up 9.2%, exceeding consensus expectations, driven primarily by record sales of $ 4.6 billion in North America . Starbucks shares rose 3.4% early in the session on Friday.